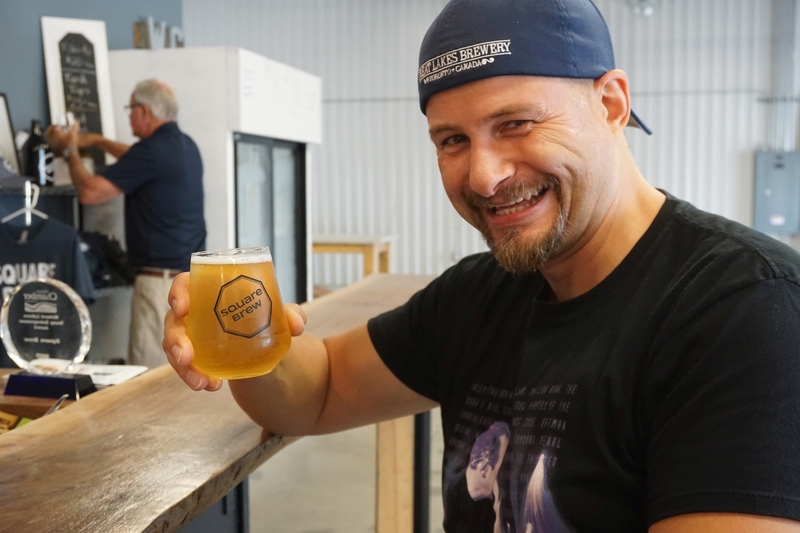 I happened to be out in Goderich with friends so we visited the local brewery, called Square and later another local brewery called Cowbell not too far down the road. Square is the only one in Goderich itself. 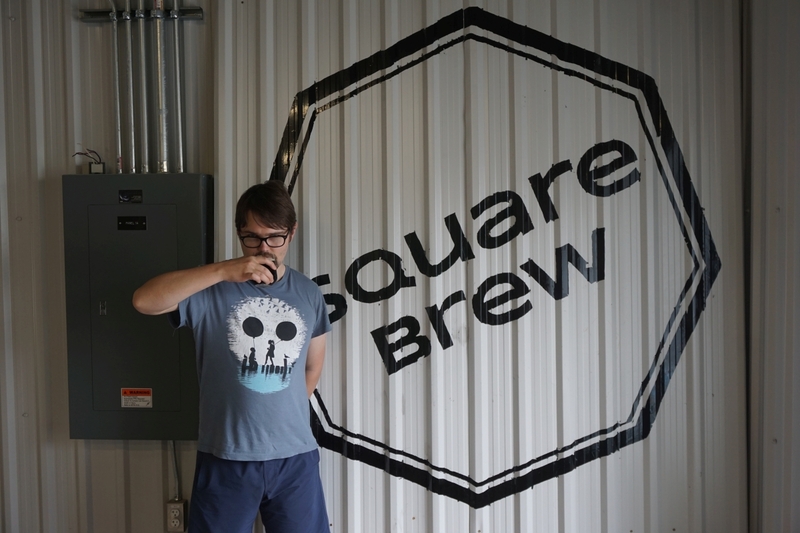 Square has a small tasting room with no air conditioning. They had four beers on tap but I only had a full pour of the pilsner and hoppy pale ale. The pilsner was fairly average with a crisp dry finish and light floral hops. The vienna lager I tried a few sips of my friend’s beer and that was enough for me. 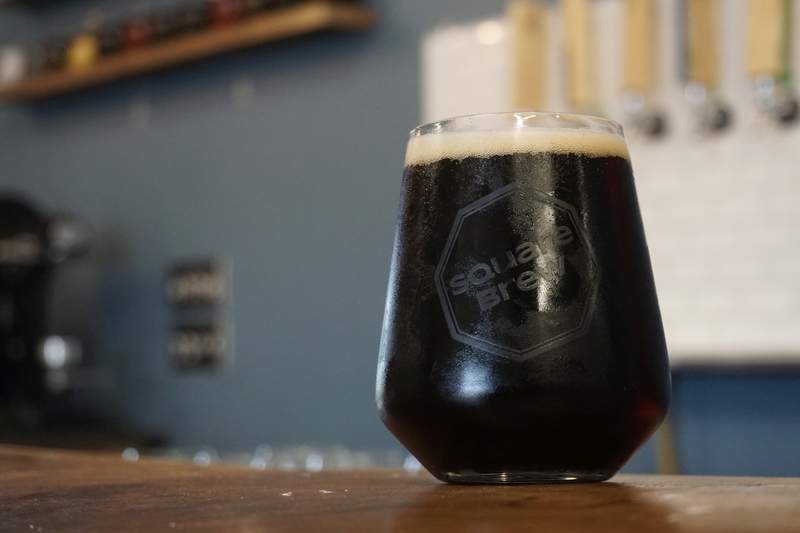 The beer had a dark cherry color and in taste was mostly burnt toffee and marshmallow. The toffee was dominant and a bit too burnt for my tastes. 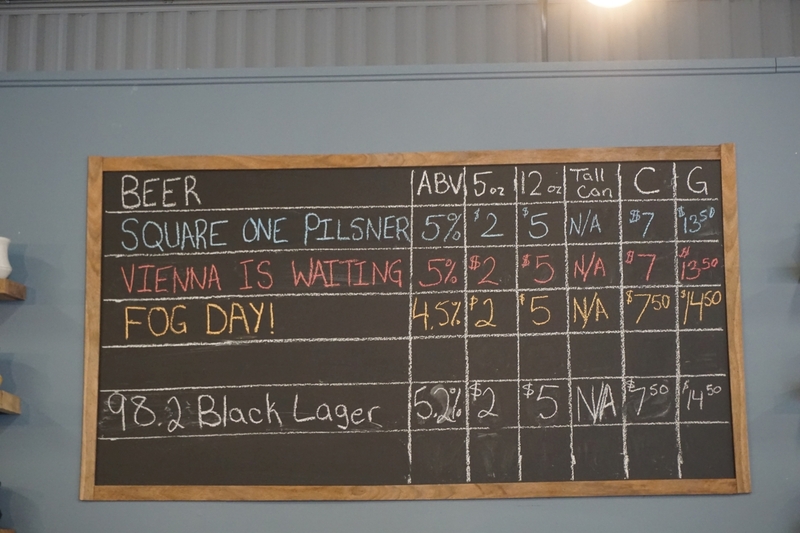 Fog Day, the hoppy pale ale was nice and dry with tons of hop aroma and not much bitterness. It had notes of citrus and overripe papaya. The overripe flavors dominated, and were a bit off putting. Finally the black lager was quite good with notes of raisins, caramel, and mild roast with a dry finish. This one might even satisfy the stout drinkers. 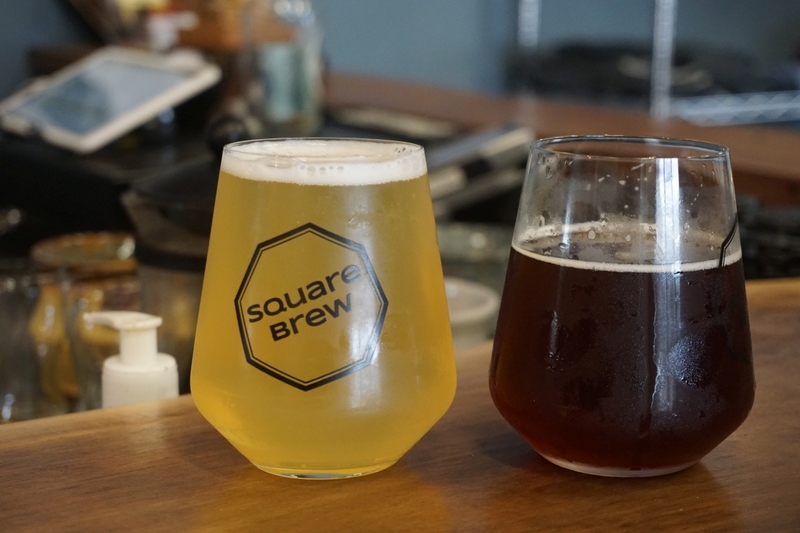 Square is much cheaper to take beer to go in crowlers so if you are in the area for a while I recommend stopping by to try a few beers and taking your favorite home in crowlers. While I enjoyed the beers, the lack of air conditioning suggests that I probably wouldn’t return if I was in the area. 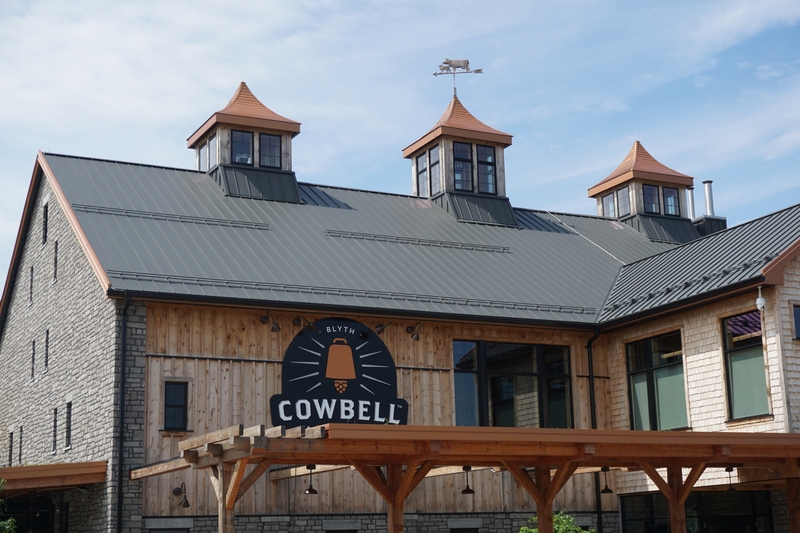 Cowbell is a massive brewery in Blyth, a town about 25 minutes drive from Goderich. 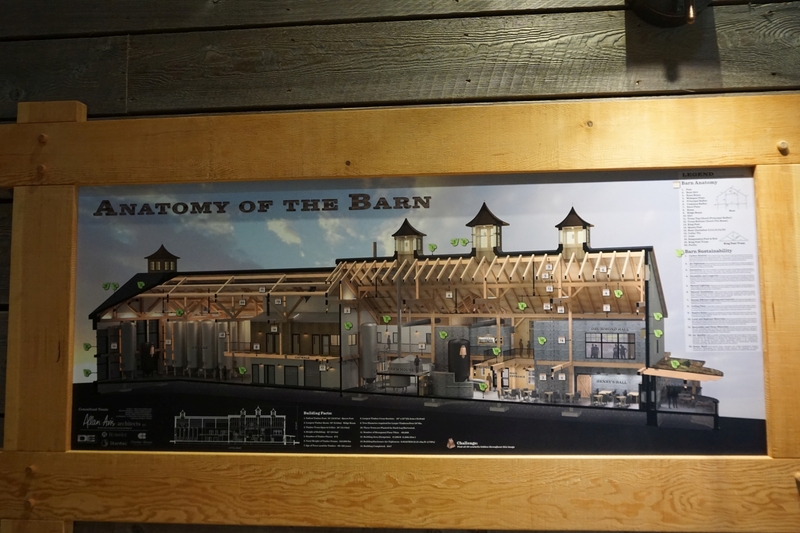 They have a very impressive facility that suggests they are backed by some big money. 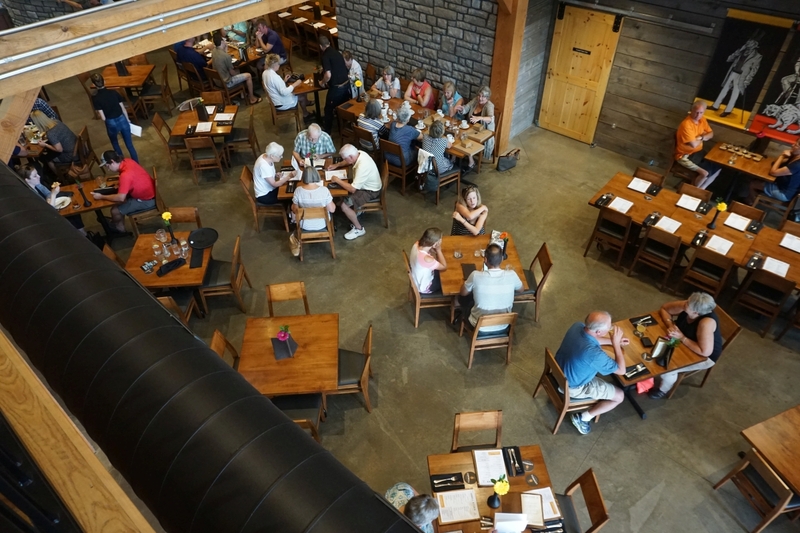 It is a full restaurant and has its own big canning line so you will find their beers all around the Ontario area. The prices pushed me towards full pours because of how much they charged for a full 5ounce taster. I started with the Abbey Bragott IPA, an IPA made with honey. It barely tasted like an IPA to me. The beer was bitter with prominent honey dominating and some mild bitter finish. There wasn’t a lot of hop aroma in the beer and I didn’t really care for the honey. 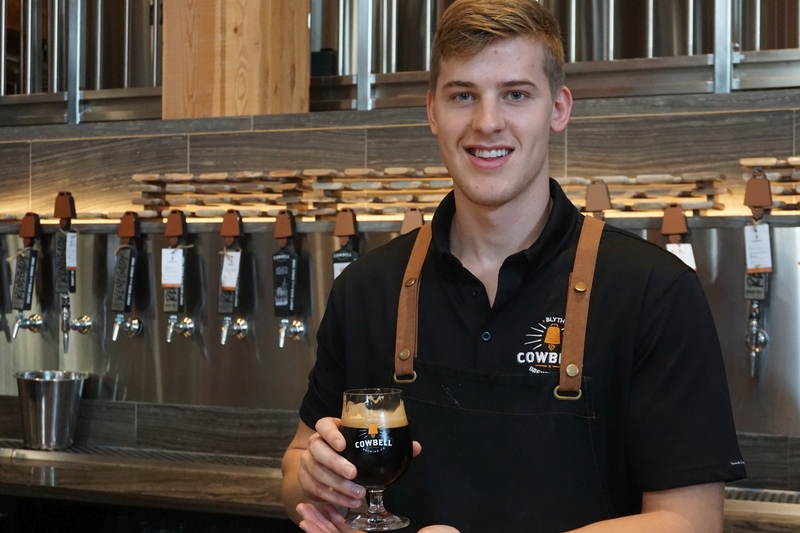 If you are there for the big hops, you should try some other beers instead. The Boxing Bruin IPA, their core IPA, was good and resinous with prominent pine flavor and a good dry finish without being overly bitter. I had a can of this the day before visiting the brewery and it was similarly resinous with some prominent grapefruit as well. It is a solid IPA and worth trying if you want the hops. The Mango Milkshake IPA was delightful. The mango was present but not overpowering or prominent. The lactose was similarly subtle leaving a creamy base hazy IPA with tons of grapefruit and citrus hop flavors. This was the crowd favorite of the day and my favorite as well. It is a very refreshing IPA. I finished with the imperial stout bragott, also made with honey. Unlike the IPA before it, the honey was not overpowering and balanced nicely with the rest of the beer. The beer had mild roast and notes of cherry, grahm cracker, and mild honey with a nice dry finish. If my husband had joined us he would have liked this beer quite a lot. 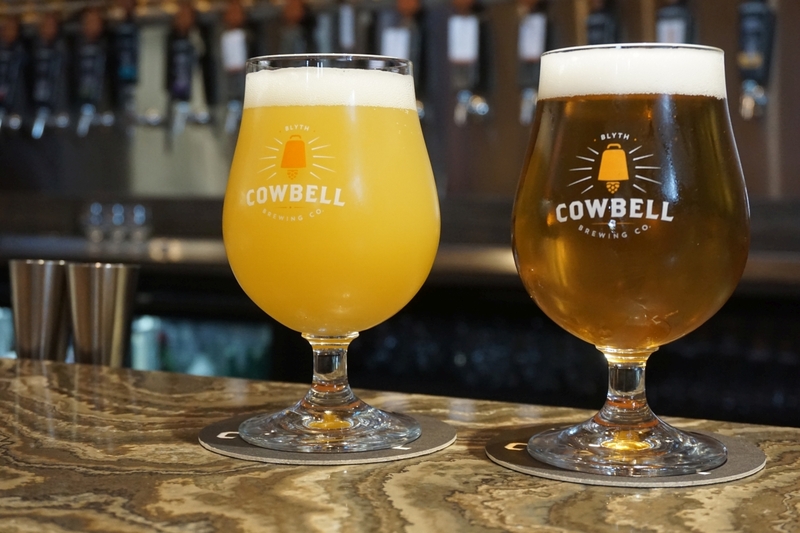 Overall Cowbell is an impressive facility and had a solid lineup of beers. If you are in the area it is well worth stopping by to walk around the place and experience a few beers on tap before grabbing cans to go.